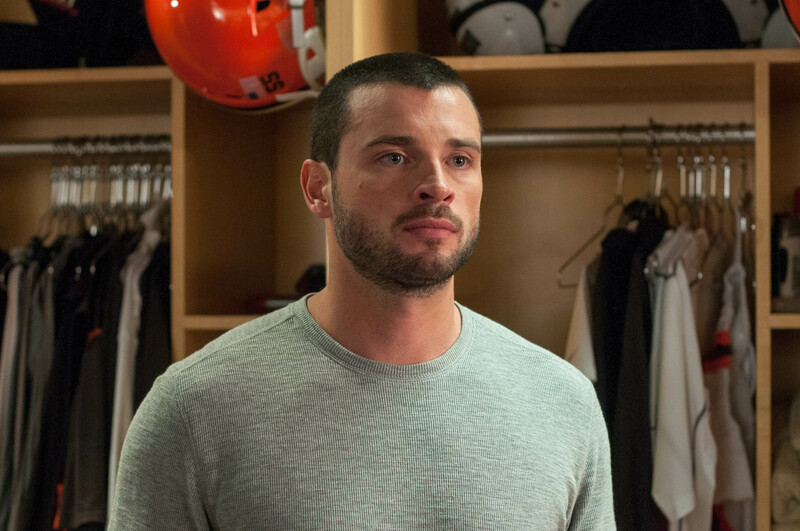 Interview With Tom Welling on ‘Draft Day’!! I had the extreme pleasure of talking with actor Tom Welling, who is in the movie ‘Draft Day‘ with Kevin Costner, but is most known for playing Clark Kent in the hit tv show ‘Smallville‘. It was a fun interview in Dallas, TX. We discussed his role in the film, his character on ‘Smallville‘, his favorite sports movies, and much much more. Enjoy. CLICK HERE to read my review on ‘Draft Day‘. This entry was posted on Thursday, April 10th, 2014 at 7:41 am	and is filed under Film, News. You can follow any responses to this entry through the RSS 2.0 feed. You can skip to the end and leave a response. Pinging is currently not allowed. « Film Review: ‘Draft Day’! !